Join us on Tuesday October 13th or Saturday October 24th for a Nutrition Workshop lead by the incredible Marsha Fenwick. 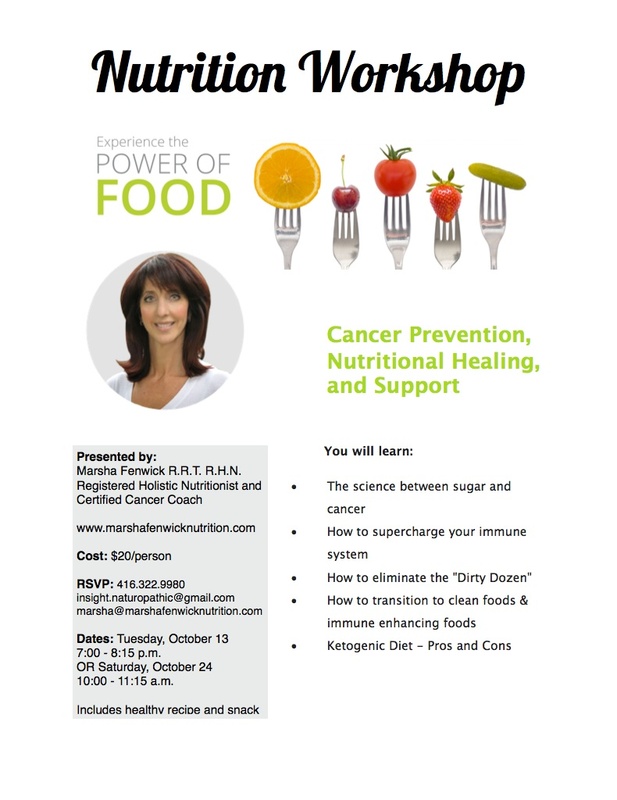 Marsha is a Registered Holistic Nutritionist and Certified Cancer Coach and will be speaking about Cancer Prevention, Nutritional Healing and Support. She’ll even share a healthy recipe and snack! Experience the power of food!